There are numerous resources, many right in your own community, where you can get information to help you talk to your children about drugs. Consult your local library, school, or community service organization. You may also contact the government organizations listed below. NIDA, as part of the National Institutes of Health, offers an extensive collection of publications, education materials, and videos to help parents talk to their children about drug use. Visit our Parents & Educators page for a list of other materials. NIDA has more information about marijuana and other drugs on both our main website and our NIDA for Teens site. To order this and other NIDA publications, please visit drugpubs.drugabuse.gov. Visit NIAAA at niaaa.nih.gov for information about a variety of alcohol-related issues, which frequently intersect with other drug use problems. NIMH (nimh.nih.gov) provides the latest research findings and numerous other resources covering a variety of mental health disorders, which often co-occur with drug abuse. SAMHSA's treatment locator can help you find a drug or alcohol treatment program near you. Visit www.samhsa.gov for more information about substance use disorder prevention and treatment policies, programs, and services. Visit dea.gov for information about various drugs, laws (including drug classifications), and U.S. regulations. 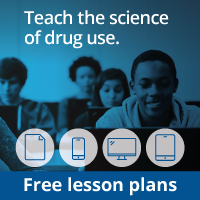 The DEA also has a site with resources for parents, educators, and caregivers, getsmartaboutdrugs.gov. NIDA. "Marijuana: Facts Parents Need to Know." National Institute on Drug Abuse, 24 Jul. 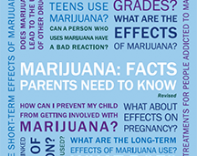 2018, https://www.drugabuse.gov/publications/marijuana-facts-parents-need-to-know. NIDA. Marijuana: Facts Parents Need to Know. National Institute on Drug Abuse website. https://www.drugabuse.gov/publications/marijuana-facts-parents-need-to-know. July 24, 2018.